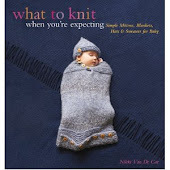 What To Knit When You're Expecting: How many steps does it take to dye self-striping yarn? How many steps does it take to dye self-striping yarn? Thursday, 2pm: Decide that a skein of British Sea Power socks really ought to be stripey rather than variegated. Do some research. Browse through Ravelry, find a recommendation to use (duh) Eunny Jang's self-striping tutorial. Print. Thursday, 7pm: Realize that I really ought to start the sock-swatch. Decide to use size one needles for BSP socks. Realize that size one needles are in use. Debate with self, then decide yes, I do indeed want to use size one needles. Remove sock-in-progress from size one needles onto size zero needles, cast on for BSP socks on size one needles. Knit a few rows. Thursday, 8pm: Frog, measure. Hope I did it right. I am measuring-challenged. Put sock-in-progress back on size one needles. Friday, 10am: Start figuring out how I want stripe-pattern to look; order of colors, size of stripes. Is very difficult to envision. Enlist advice of cubicle mate. We both spend waaaaay too much time on this. Friday, 11am: Realize that I really ought to wind a ball out of this skein since I'm going to have to reskein it to be a giant freaking skein. Curse and wish for 800th time this week that I own a swift and ballwinder. Begin winding ball. Am frequently interrupted by ringing phone and actually needing to do work sometimes. Curse, but also heave a sigh of thankfulness that I work at a place where I can wind a ball of yarn and no one will blink. Saturday, 12pm: Set up lamps 229.5 inches apart from each other, and walk around them in a circle, unwinding the ball of yarn I spent all the day before winding. Saturday, 1pm: Tie off places where the stripes should go. Rethink stripes. Tie them off again. Retie them to how I originally had them. Saturday, 2pm: Soak skein. Try not to obsess. Sunday, 10am: Hope for a break in the rain so that I can mix the dyes outdoors. Sunday, 11am: Stand in the small covered area in our backyard and mix the dyes outdoors. Get dripped on. Sunday, 12-2pm: Fidget until Dave leaves for band practice so I can get started on the fun part. Sunday, 1:59pm: Begin dyeing. Make various disastrous mistakes. Reflect on how perhaps I ought to have spent a little more time practicing easier methods of dyeing before moving on to self-striping. Sunday, 4pm: Burn myself because I am overly eager to unwrap the microwaved skein. Curse Target once more for not carrying steamers. Air out microwave for five hours. Hope we don't all die. Sunday, 5pm: Felt yarn because I am overly eager to begin rinsing. Sunday, 7pm: Begin drinking. Curse myself for being overly eager in all things. Sunday, 8pm: Feel miraculously better after glass of wine and slice(s) of cheese. Revisit yarn. Seems just fine. Leave it there in the basement, drying. Try not to obsess. *Everything from this point on is theoretical. I assume this is how it will go. It will probably be even more insanely painstaking that I envision. Such is my plan. I will produce photos of finished products on Monday. Wish me luck. Oh no! Remember the mantra: time and temperature. It doesn't sound like it was much fun. 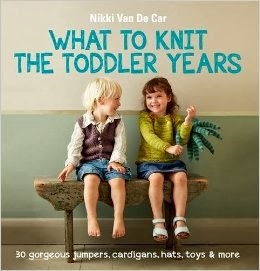 I hope the yarn turned out ok -- in fact, i'm sure it did.